My nanny’s a college student and her schedule changed mid-January. She’s working fewer hours now and no matter how much I tried to prepare myself for less childcare, it’s been an adjustment. The biggest thing that seems to have taken a hit is my self-care. This transition has me reminiscing about the early days with my son. There’s no greater adjustment that a woman goes through in her life – that from woman to mother. 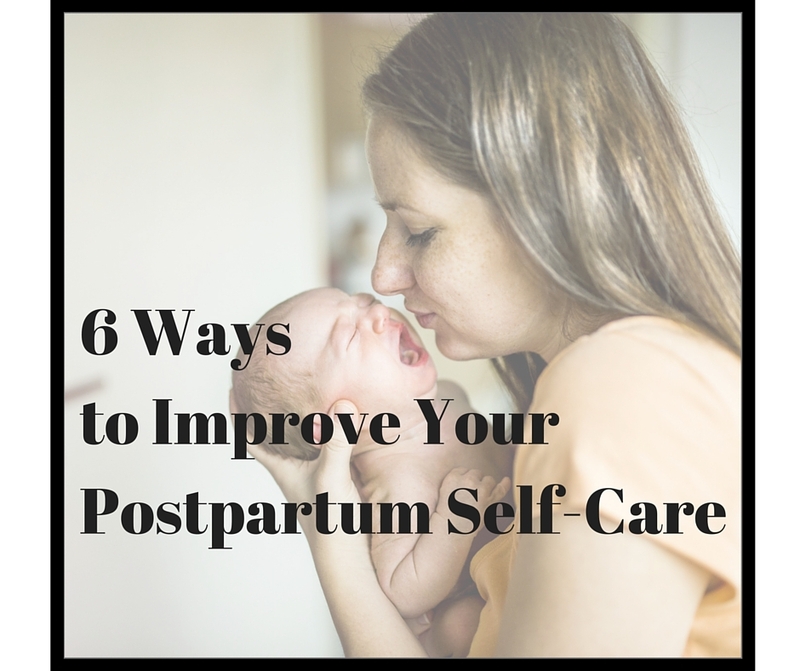 During the postpartum stage, self-care often takes on a new meaning. I remember vividly the time after my son was born 5 years ago. The days would seem like an eternity, and at the same time hours would fly by before I’d figured out how to eat a simple meal. Toast. Cereal. I’d be starving but holding my infant so he could sleep. He could sleep while my arm would go numb, my legs would ache, and my stomach would rumble. But it was worth it so I thought. I can remember the light in the house, the quiet. How my husband would leave for work and I’d be sitting on the couch, nursing the baby. He’d return 8, 9 hours later and I’d be in the same exact spot. Nursing the baby. This was the new normal. Gone were days of trail runs before work, surfing with friends on weekends, movies, checking out the newest brewery— moving at my own pace. These changes were expected to some degree, of course. But nothing can prepare you for the exhaustion that mitigates your greatest fantasies about what new motherhood might look and feel like. And so began my own transition to motherhood. I looked forward to the local Mother’s Circle that met weekly. It was facilitated by a lactation consultant and was everything I could have hoped for: a safe place to bond with other women who were navigating this life transition along with me. We could gripe about our desperate need of sleep, the breastfeeding challenges, or the pile of dishes accumulating in the sink. Eventually we met at other times too, becoming supports for one another, affectionately referring to each other as our Mama Tribe. We live in an era of isolated nuclear families, where it’s not uncommon to live hundreds if not thousands of miles from our own nuclear families. New parents are often without support, which can place a huge strain on a growing family. Caring for a newborn, coupled with the fluctuation of postpartum hormones, lack of sleep, and round-the-clock feedings is an adjustment. Sometimes the physical sensations of new motherhood cloud the emotional transformation that’s occurring side by side. If we don't make a conscious effort to focus on self-care during this time, we put our own mental health at-risk. It’s easy to get caught up with what other new moms seem to be doing. Social Media is powerful, and it certainly doesn’t represent a realistic picture of what motherhood, or any stage of life, truly looks like. I help mom’s think through their long to-do list and pare it down to bite-size goals. This helps reduce stress and anxiety. Feeling like you need to do the dishes, the laundry, go for a walk, take a shower, hit Target AND care for you infant is just not realistic for the majority of new mothers. Spending 24/7 with a baby is challenging. You may find your partner comes home tired at the end of a busy day and isn’t the social companion you were hoping for. Perhaps you’re the first of your friends to have a child. Connecting with other women who are going through similar experiences can help avoid isolation and build your network as you navigate this new stage of life. As my own momma always says: “Joy shared twice the gain, sorrow shared half the pain.” Finding your Mama Tribe, or even one new friend who’s in a similar stage of life can be a huge support and relief for a new mom. What you put in your body has a direct correlation with how you feel. It’s not uncommon for new mothers to become so consumed with their babies that they completely neglect themselves. If you’re breastfeeding, it’s important to maintain a healthy and regular diet to sustain your milk supply. I love the Meal Train idea for the early weeks and months, and often encourage families to plan ahead if possible by freezing meals, while they’re still expecting. Small packages of food are helpful to have on hand for snacking throughout the day— nuts, fruit, granola bars. And lots of water. Being kind to yourself can never be stressed too much, in my opinion. Motherhood, sadly, is riddled with feelings of guilt and shame. Feelings of uncertainty and not knowing, and wanting to do things “right” all lead to feelings of being not good enough. You are good enough! There is no one right way. It’s important to be loving, kind and gentle with yourself, just like you treat your new baby. You are enough! Research confirms that 80 percent of women experience the Baby Blues. Physical exercise has been shown to release endorphins (feel-good hormones), which naturally trigger positive feelings helping to reduce levels of depression and anxiety, and can actually help prevent depressive symptoms. Walking is the only cardiovascular exercise that actually reduces cortisol (stress hormone) levels, which can easily be activated during the postpartum phase. Being in nature is not only restorative but can improve your positive outlook on life and your ability to cope and recover from stress and illness. The benefits of walking in nature are evident. You decide whether you’ll choose to get out by yourself, with a friend, or with the support from a trained professional. Some people are great about asking for help— they get creative with their baby registry, including things like a postpartum doula, housecleaning and meal delivery requests from friends and family. Some of us aren’t as comfortable asking, or sometimes no one’s available to coordinate a shower. I recently heard a great idea from a colleague of mine, Kiersten Markham, Birth + Postpartum Doula and BIRTHFIT Coach here in San Diego, that I thought I’d share. She encourages new moms to ask a few close friends or family members to check in by text message. Have them text things like: did you shower today? Or, remember to get some fresh air. I love this idea! Getting text messages a few times a week with helpful reminders seems like a wonderful way to help you take care of YOU. Doesn’t that sound doable? What I’ve learned is that small steps change lives. Take a breath, look over these suggestions and see which one seems most doable. And then, make a commitment to yourself: What’s one small step you would like to take this week?